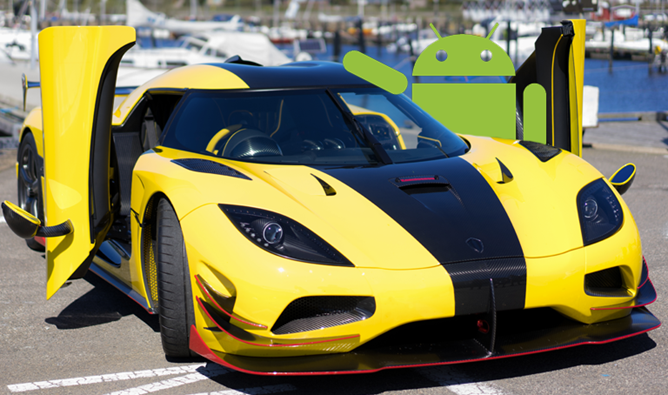 Odds are pretty good that today's Android Auto news will only matter to extreme car buffs. Google's in-car phone extension has been officially announced for upcoming models from Lada, Koenigsegg, and Borgward. If you've never heard of any of those manufactures, you're in good company: you're unlikely to see them driving down the street unless you live in Russia, Beverly Hills, or 1955, respectively. Lada (or as it's stylized, LADA) is the biggest manufacturer of the three. The Russian company is a sub-brand of AvtoVAZ, which started making economy models for the Soviet Union and still specializes in low-cost vehicles mostly for the Russian and Eastern European markets. The original Lada model is a minor classic if only because it was widely exported, but there's no word on which of the handful of models currently in production will be getting Android Auto. Koenigsegg is probably the best-known new entry to the Android Auto list, if only because their supercars are frequently seen in drool-covered auto magazines and racing video games. The Swedish carmaker's bombastic designs start at around a million dollars and go up, and usually there are only a handful of each model made - they make Ferraris and Lamborghinis look cheap and dinky in comparison. According to Wikipedia, the company has only ever made or even planned to make around 200 individual cars, including concepts and upcoming runs. I can only imagine that someone at Koenigsegg decided to add Android Auto when some hedge fund manager complained that his gardener's Hyundai had a cooler dash unit than his $3,000,000 Agera S. Specific model support isn't listed on the Android Auto site. Borgward is... well, it's just a damned odd addition to the Android Auto list. The original company sold German cars and trucks starting in 1929 and stopped in 1961 after going bankrupt, and the brand was quickly forgotten when the titular owner died shortly thereafter. The new Borgward is a start-up from the original owner's grandson and investors. The company showed a crossover hybrid concept called the BX7 at the International Motor Show last year and has since announced two more hybrid models, but none of them have gone into production, and it's unclear if they ever will. So there you have it: three new entries to the officially supported automaker list, with not a single confirmed model between them. One might wonder if Google is just trying to flesh out that Auto partner list at this point.